TAMPA, Fla. (Dec. 6, 2018)― Tune in tonight on FOX Sports Sun, the regional television home of the Tampa Bay Lightning, as we get set to premiere a special hour-long episode of “Inside the Lightning” upon conclusion of Tampa Bay’s game against the Boston Bruins. 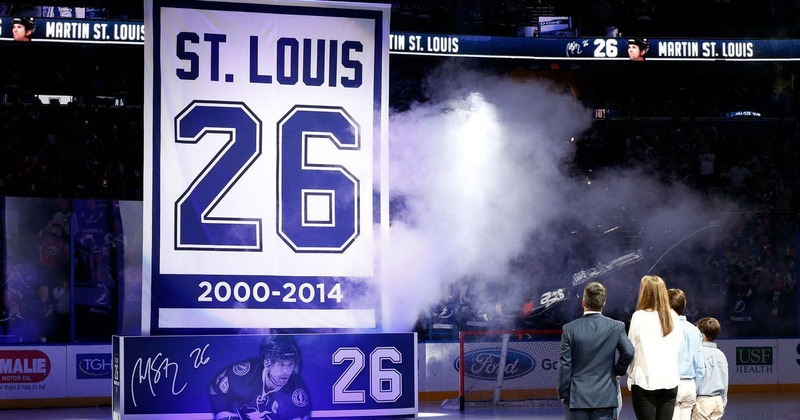 “Inside the Lightning: Show Them, Marty” brings Bolts fans behind the scenes at Lightning legend Martin St. Louis’ induction into the Hockey Hall of Fame. This must-watch episode takes a deep dive into St. Louis’ upbringing as he fought an uphill battle to prove his worth on the ice despite constantly going up against bigger opponents. Viewers will learn about St. Louis’ dedication to the game of hockey, which had him literally trying to sleep with his skates on, and get insight on St. Louis’ long and winding road to stardom that included stops at the University of Vermont and the Cleveland Lumberjacks of the now defunct International Hockey League. Starting with his breakout 2002-03 season, fans won’t want to miss reliving some great Lightning memories from St. Louis’ storied career. Things get nostalgic during a look back to the magical 2003-04 season that saw St. Louis lead the NHL with 94 points and capture the Hart Memorial Trophy as the league’s MVP. The special year culminated with the franchise’s first and only Stanley Cup championship. Finally, FOX Sports Sun was in attendance with St. Louis at Hall of Fame weekend for his ring ceremony, participation in the Hall of Fame Legends game and induction ceremony. Interviews in the show include Lightning Head Coach Jon Cooper, former teammate Vincent Lecavalier, fellow Hall of Famer Martin Brodeur and many other NHL dignitaries. Catch the debut of “Inside the Lightning: Show Them, Marty” this evening on FOX Sports Sun and the FOX Sports App, and be sure to follow @FOXSportsBolts on Twitter for exclusive Lightning coverage from our broadcasts.